Strategic Digest is a monthly compendium of important speeches, official documents and statements as well as news summaries culled from various published and unpublished sources. The Week in Review is IDSA’s newsletter containing a brief analysis of important events. South Asia Trends is a monthly newsletter on South Asian affairs. The purpose of the newsletter is to provide a panoramic view of important events that shape and impact the politics of the subcontinent. The effort would be to inform our readers of the domestic, regional and international repercussions of the political debates and diplomatic engagements that take place in South Asia. 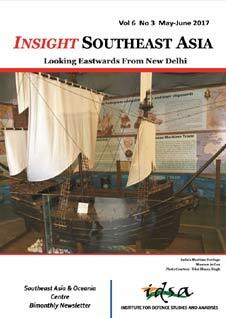 Indian Ocean Watch is a monthly newsletter compiled by the IDSA. The newsletter tracks recent developments in the fields of maritime security, economic cooperation and environmental concerns/ disaster risk management in the various countries of the Indian Ocean region. NTS Newsletter is the IDSA's bimonthly newsletter on Non Traditional Secuity. Given the growing evidence on the interlinkages between energy, food, water and climate change and how it is defining the geo-political landscape as well as national policies, a need was felt to bring out a NTS newsletter that would periodically disseminate information on these issues. Pakistan Urdu Press is IDSA's weekly newsletter containing selected translations from Pakistan's leading Urdu dailies. It contains editorial excerpts, opinion columns and selected news items. A step to enhance understanding on China’s defence and strategic issues through the views reflected by the authorities, media, academia and people of China, as well as from its diaspora and neighbourhood. Bi-weekly review of the Persian/Dari and Pashto Media on Afghanistan. Given the importance of the transition process in Afghanistan, it is hoped that such periodic review spanning the print, electronic and audio-visual media will acquaint the readers with the perceptions/ views/analyses from the Afghan media and help them in understanding the political dynamics in Afghanistan. Chemical and Biological News Digest is a collection of news reports and press releases published in various newspapers and media related to the subject. The news reports have been abridged to provide clarity. The IOR-ARC Newsletter is a monthly newsletter compiled by IDSA on behalf of the Indian Ocean Rim Association for Regional Cooperation (IOR-ARC). The newsletter tracks the recent developments in the fields of maritime security, trade and investment facilitation, fisheries management, disaster risk management, tourism, science and technology & academic cooperation in the member countries of the IOR-ARC.